“So’s the Griffin, lad, be specific!” Hunter snapped. Along the deck, gunnery crews leaped into action. A sharp hum rose from the far end of the vessel while the artillery quickly primed; soon the air was filled with the sound much like a swarm of angry bees. Gunnery crews locked the cannon into their metal rails and raised the artillery ports. Conrad O’Fallon stalked among the artillery crews, glaring at the nightmarish targets. “They be at long range, be watchin’ the wind! Mind ye aim!” The Scotsman glanced around at the crews, then turned the crank on his own opti-telegraphic. “Ready!” he said into the device. Hunter remained where he was, fixed like a tree rooted to the rolling deck, hands now clasped behind him. The captain’s eyes glittered while his mind worked feverishly. More of the Fomorian war machines appeared. There were four in total. Hunter frowned. It was a small number in general consideration, but a single Ironclad could be deadly to anyone caught on foot in the open. Hunter waited, tense, willing the metal beasts to make the mistake of grouping close. Then, the spider-like Ironclads lumbered together in a staggered two by two formation. The captain smiled. Cannons instantly replied with rolling thunder and blinding white flashes of light. Lightning, wild and free, split the night apart while it rode the metal-laced water jets downward. Shrapnel slammed into the ground, hammering the Arachnae war machines as the massive bolts of electricity reached their target. Explosions ripped the ground, instantly heating the metal of the Ironclads. The front of the war machines took the brunt of the force. Overwhelmed with more power than it was meant to handle, its capacitors exploded! The spider-shaped Ironclad burst open from the inside out, like an overripe melon, its interior blackened and charred. Quickly recovering, two of the Arachnae Ironclads walked away a short distance, making it harder to hit all of them at once. A third, belching smoke from a hole in its side, limped forward. The remaining three Ironclads locked their legs into position, raised their twin cannon skyward, and returned fire! 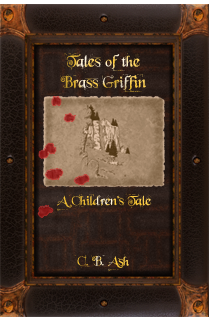 The Griffin shuddered with the impact, and smoke boiled off a set of ragged, burnt wounds near her bow. A quartet of crew rushed forward to extinguish the fire. The artillery crews were already adjusting the aim of their cannon for a second shot. “Godspeed, Doctor,” Krumer said with a smile. “Spirits willing, Mr. Whitehorse,” came the reply before the opti clicked off again. Immediately, the only two longskiffs leaped out into the night, then dove for the maelstrom below like angels coming to nurture the fallen. In the sky, again the Griffin roared, her cannon raining bright white death and pain on the Fomorians below. Already, Fomorian riflemen took up positions of cover at the edge of the burning pit to fire upwards, desperate to protect their few Ironclads. 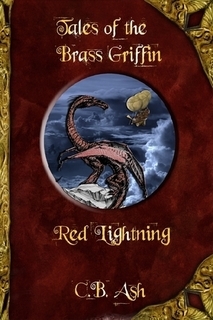 The Griffin, having to remain at almost a thousand yards for the lightning cannons to fire, felt the sting of bullets. Crew screamed in pain, falling when the occasional shot struck home. Hunter turned away from the railing. Splinters and the rare bullet flew by him while the captain walked briskly through the smoke for a better view of the main deck of his ship. Most of his crew were intact; some were wounded but had crawled, or been pulled, to a moderately safer location out of the line of fire. “William!” Hunter quickly called out. 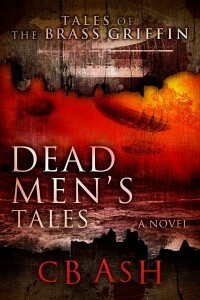 “Longskiffs are below our waterline, mon Capitaine,” Noel St. Clarie announced from where he stood at the ship’s wheel. “Aye, mon Capitaine,” Noel replied with a bright, white smile. 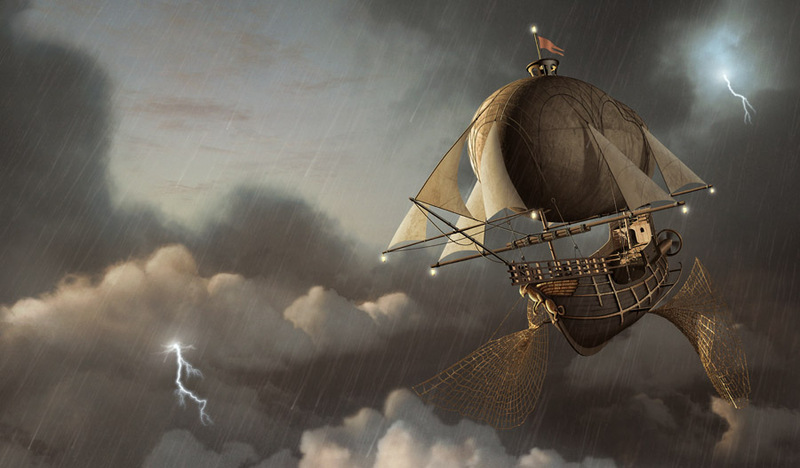 He reached for a tall lever next to the ship’s wheel that ended in a large, toothed brass gear covered in measurements. “I will be like a mother goose guarding her goslings from the fox!” The broad-shouldered man from the Ivory coast laughed merrily while he pulled back on the lever. Instantly, the Griffin pitched to one side! Explosions shook her from bow to stern. Noel clutched desperately to the ship’s wheel, fighting to keep control of the ship, while Krumer and Hunter were thrown across the quarterdeck. The first mate hauled himself out of the remains of a now shattered wooden chest with which he had collided. Hunter had slammed against the railing, injuring his sore shoulder even more. “Something hit us!” Krumer exclaimed. Hunter scrambled to the rail and looked out. Smoke belched from two new holes in the Griffin: one above the waterline, another not far from the port side water storage. Any deeper, and the blast would have flooded the lower decks with spare water for the lightning cannons. It hurt, enough that he almost felt the pain himself, but it wasn’t crippling. Anthony looked about for the longskiffs. It only took a moment to locate them. Below the Griffin, the twin vessels turned and weaved while clawed bolts of lightning arced down, followed by hot artillery shells: both fire from the other ship. Fortunately, that volley missed the smaller craft. Already one of the longskiffs bled flame and smoke, a hole ripped in her stern. Which is where I would have been, he thought angrily to himself. She must have been up there on station waiting for someone to arrive. Bauer set a trap, and I let my ego walk right into it! That can’t be helped now. The Revenge is a larger girl with more guns, but not nearly as nimble. Her hull type has a few ports on her bottom along the keel … however, Anthony mused silently to himself, she has a blind spot. “Orders, Cap’n?” Krumer asked, rubbing his eyes to clear his vision. Noel and Krumer exchanged a glance. “Capitaine …” Noel started to say hesitantly. “Will not the Revenge follow?” Noel asked while he fought with the wheel. “I’m counting on it!” Hunter replied.